We added two authors to our AosHQ Authors list! First is long-time Fantasy writer E.E. Knight. 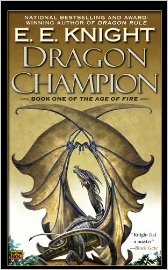 He has two fantasy series, the 11 book urban fantasy Vampire Earth series and the dragon fantasy series Age of Fire. He also has a Lara Croft media tie-in Tomb Raider: Lost Cult. 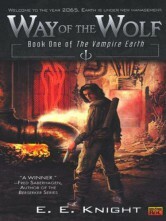 And the first book of Vampire Earth series is Way of The Wolf. Also new on our list is Erik Ruhling. Erik is a graphic designer and the curator of www.occasionalhell.com. He has published a book that catalogues more than 30 torture devices from history in his book Infernal Device: Machinery of Torture and Execution. Erik Ruhling assembles an unmatched array of torture tools invented exclusively for the infliction of pain and the ending of life, each carefully researched with an accompanying full-color, highly detailed rendering. This beautifully presented book features classics like the Iron Maiden and the Guillotine, as well as more rarified connoisseur’s fare such as the Scavenger’s Daughter and the Ear Chopper. 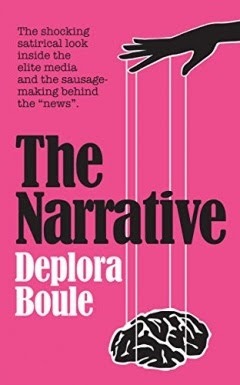 And if the Tongue Tearer is not to your taste, there’s always the Breast Ripper or the Drunkard’s Cloak.